In order to prepare the conductive films based on nanocrystalline cellulose (NCC), multi-walled carbon nanotubes (MWCNTs) modified by 3-glycidoxypropyltrimethoxysilane (GPTMS) were used. The modified MWCNTs were added into the NCC substrate. The effects of modification on the compatibility of MWCNTs were investigated with contact angles (CA). The conductive films were characterized using the scanning electron microscope (SEM), Fourier transform infrared spectroscopy (FT-IR), X-ray diffraction (XRD), and four-point probes. The results showed that the optimal concentration of GPTMS was 8 wt% and the CA of modified MWCNTs with substrate was 61.9°. According to the FT-IR spectrum, hydroxyl groups and C–H groups were introduced into the conductive films. The XRD patterns of the conductive films were influenced by surface-modified MWCNTs limitedly. The electrical resistivity of the conductive film was 1.37 × 10−3 Ω cm when the content of modified MWCNTs was 10 wt%. 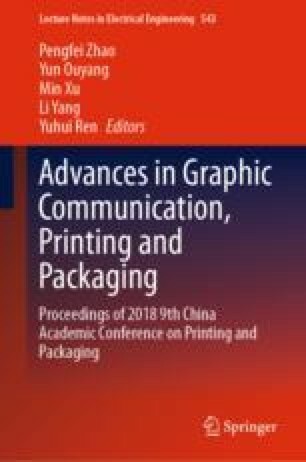 The authors are grateful for the support of the Doctoral Foundation of the Henan University of Engineering (D2015016).